Upon taking the Reiki 3 class, you are..
attuned to the highest level of Reiki vibration. You may become more aware of being in the harmonious, loving energy with full of light, being more naturally open to receive the messages from the higher-dimentional beings for your highest good (and to notice your own, honest inner voice as well). As you were encouraged to do self-Reiki & Hatsurei-ho everyday for at least 21 days after your Reiki 1 and Reiki 2, it is the same after Reiki 3, especially with the Master symbol. We recommend you to consciously resonate with the Master symbol all the time, especially when you wake up and before you go to bed so you become more and more familiar with the profound, multi-dimensional vibration of the fullest of Reiki and the Master symbol. If you have taken your Reiki 2 elsewhere or sometime ago, we strongly recommend you to take the [Reiki Refresher Attunement & Lesson] to review and cover the difference before proceeding to your next class (but not a requirement). 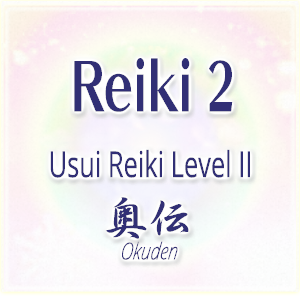 All Reiki 2 practitioners are welcome to our Reiki 3 class!